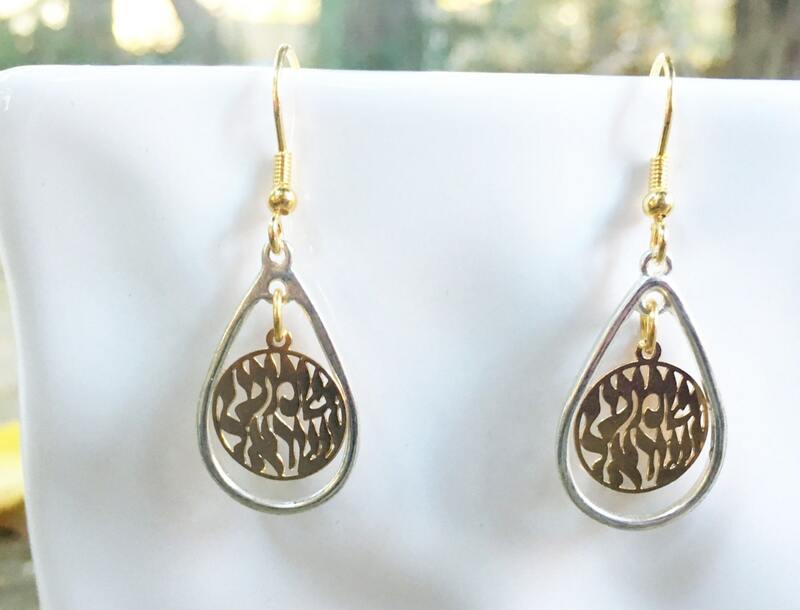 These gorgeous gold and silver Shema Yisrael earrings are a perfect statement piece. They are very light weight. The shema is gold and surrounded by a silver loop. The Shema charm is made in Israel. These earrings are hypoallergenic. 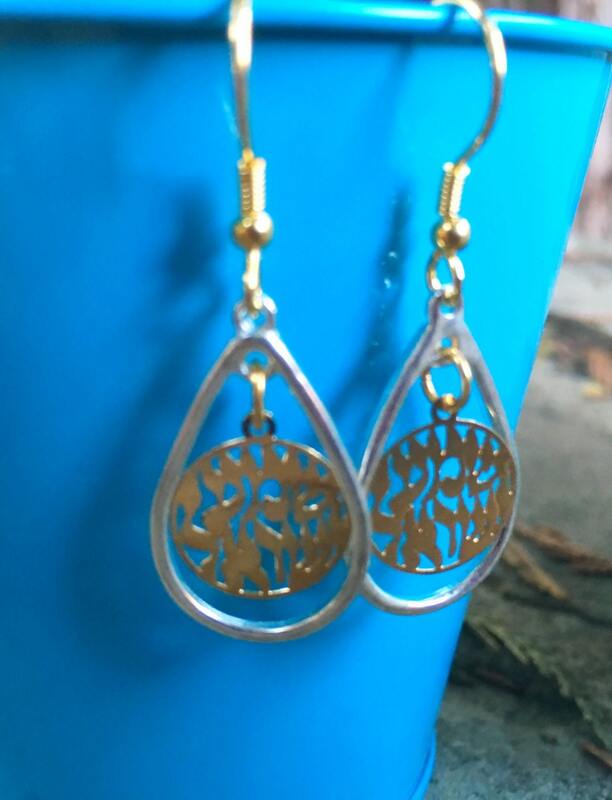 The earring hooks are 14 kt gold filled.